The earliest reference we can find to a flying club at Caltech appears as a small notice in the student newspaper in 1964: “Anyone interested in flying, learning to fly, buying a plane, sightseeing, etc., come to the meeting of the Caltech Flying Club tonight at 7 :30 in Winnett Clubroom 1.” (Learn to Fly, The California Tech, November 12, 1964.). Nearly a year later, another article in the student paper shows the club nearing the final steps of incorporating the club and buying a plane. 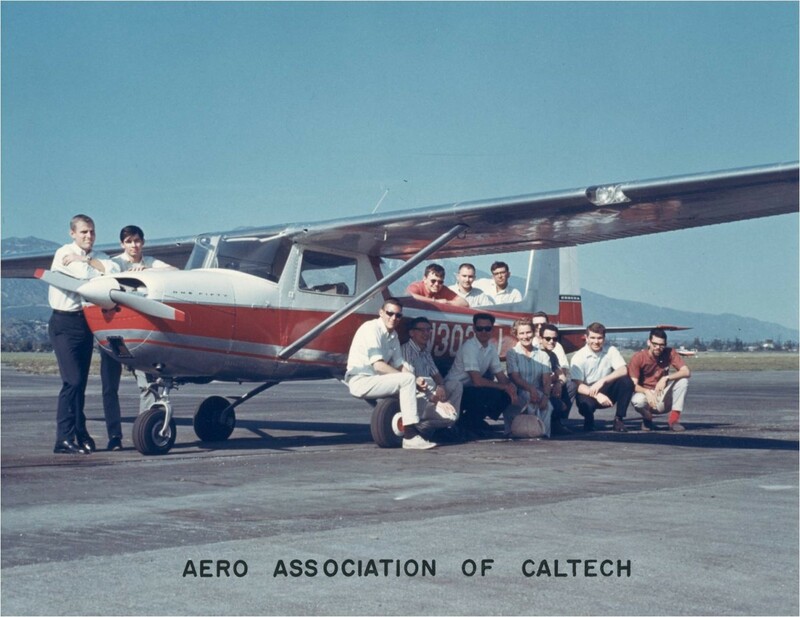 We now nearly have the final name under which the corporation will be established, listed here as “The Aero Association of the California Institute of Technology”. The article notes that incorporation will happen “next Monday”. In addition to some of early members listed earlier, we now find Peter Lissaman (later a founder of Aerovironment) and Peter Lingane (head of the Flight Standards Committee) noted. We also learn that the Flight Standards Committee and much of the club’s approach to safety was there at the beginning. (Flying Club off the Ground, The California Tech, January 27, 1966). The Articles of Incorporation were submitted on January 21, 1966 and filed by the Secretary of State on March 9, 1966. The articles list as directors David Cartwright, Donald Blumenthal, Robert Edelson, Dario Iacuelli, and Peter Lingane. 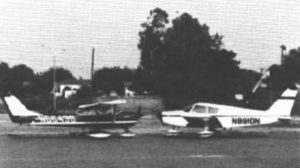 By later articles, we know that the club moved its airplanes from Brackett to El Monte in the Fall of 1968 and the club flew N3027J 900 hours in the first year and 600 each of the following 2 years.